As the hands of time wind fully down on the year of 2014, countdown to the new year in one of the most Ultimate ways possible. 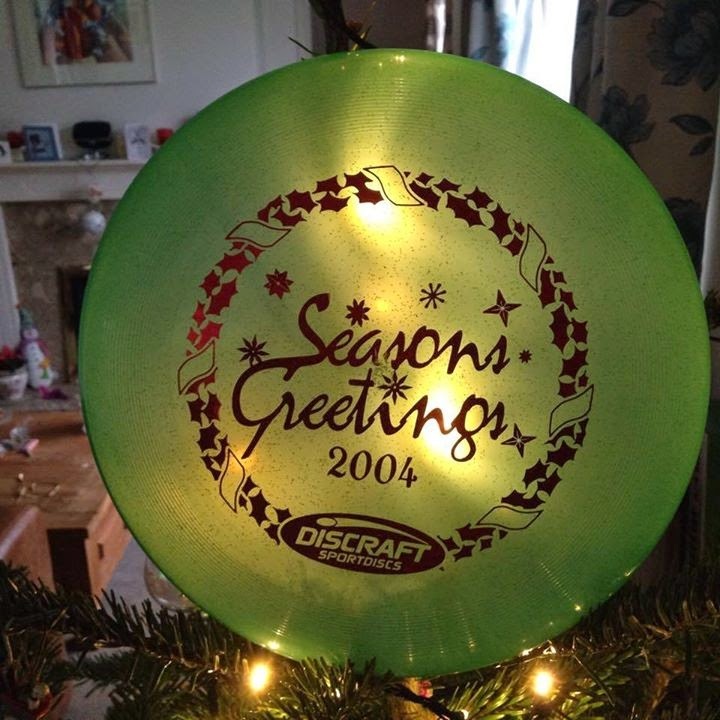 Similar to the crafty re-use of WHAM-O (February 2014), here is another time-telling option using a Discraft. Info: It's a clock on a disc! The most ingenius thing you've seen yet. 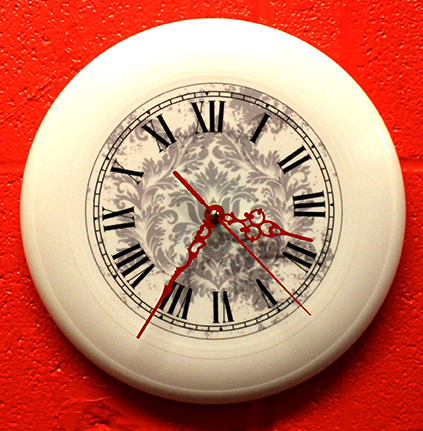 Clock design printed in a 175 gram Ultimate disc. 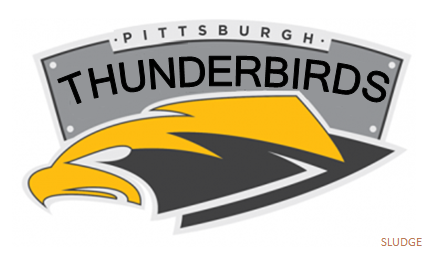 The Pittsburgh Thunderbirds (AUDL) were originally in the East Division are now in the Midwest Division. 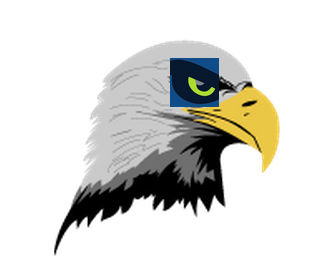 So, here's a "revamped" Thunderbirds logo since they're no longer facing East Division teams. So much happened this year with pro leagues, Worlds, USAU Triple Crown Tour. There were nearly 400 posts this year (that averages to outputting more than once-per-day) covering topics related to the sport of ultimate. Let's reflect on the year gone by! 13. Erin Andrews played Ultimate in a TV commercial, so did Tony the Tiger. NOTE: Items have been independently selected by browsing each company's store. $0 of sales get kickedback to this blog. PLEASE SUPPORT ULTIMATE COMPANIES! Know the sport's basics inside and out........$45. This red sublimated jersey is so patriotic with its stripes, it doesn't need any stars.......$50. A 6-gallon bucket ready to store your Ultimate discs and support your seated weight on the sidelines.........$30. Non-verbal announcement of your "monster" defense......$12.00. Delicious sports science spelled out on a tank.....$34.95. 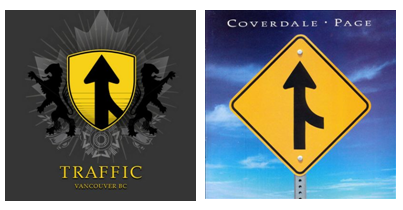 If the beauty of SOTG could talk it would utter these 3 words.....$25.75. A card deck featuring drills and exercises from pretty good players....$15. "Focus" on your Ultimate-loving friends and family by giving them an UltiPhotos gift certificate! All quality pics - available as download or printed - taken by professional photographers. Support USAU programs &/or national teams with plastic (your credit card). If our sport required a flag, its design would look something like this......$35. 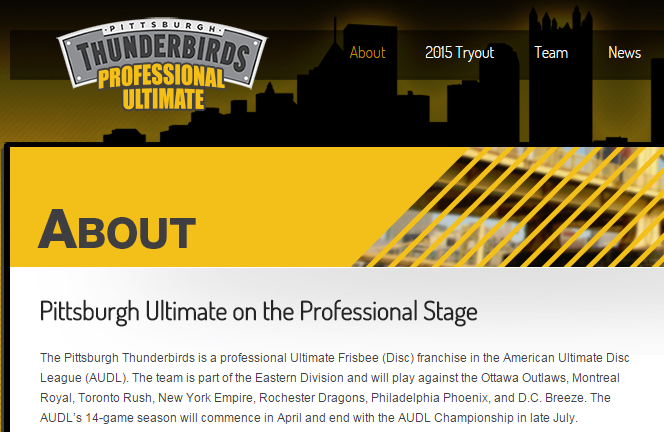 According to Pittsburgh's website, the Thunderbirds will be playing the 2015 AUDL season in the Midwest Division; not in the East Division. 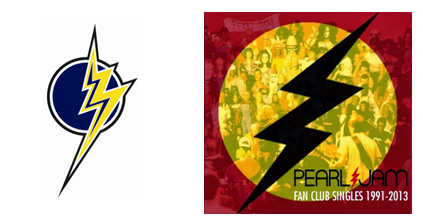 This transfer has been rumored here, here, here and shown here, yet only recently appeared on their website. The team quietly moved - without any formal announcement from the league nor team - from one division to another which evens out the two divisions with seven teams each and avoids an in-state rivalry with Philadelphia. Pittsburgh becomes the easternmost city in the AUDL Midwest Division. 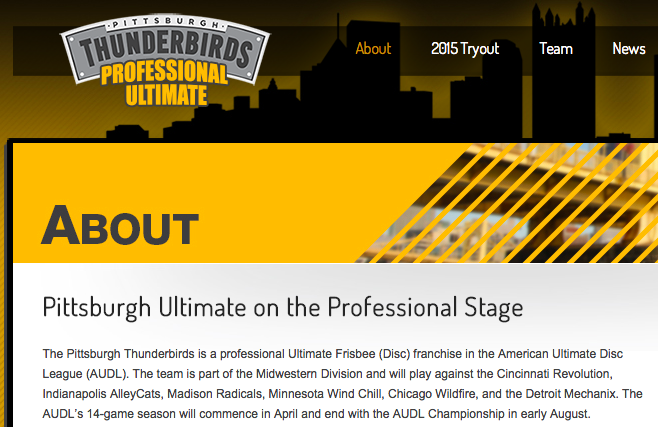 The AUDL's website originally positioned Pittsburgh in the East Division, but the current listing shows Pittsburgh in the Midwest. 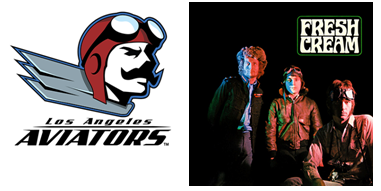 The homepage of the Thunderbirds' website still needs some updating, though. Another notable tidbit per the webpage is the 2015 AUDL Championships is scheduled for early August instead of late July. Another classic holiday tale gets the ultimate treatment. One part commercial, one part bravado, "Twas the Night" was written, directed, acted, shilled, and narrated by Beau Kittredge. [SPOILER] "Happy workouts to all and to all a good night!!" 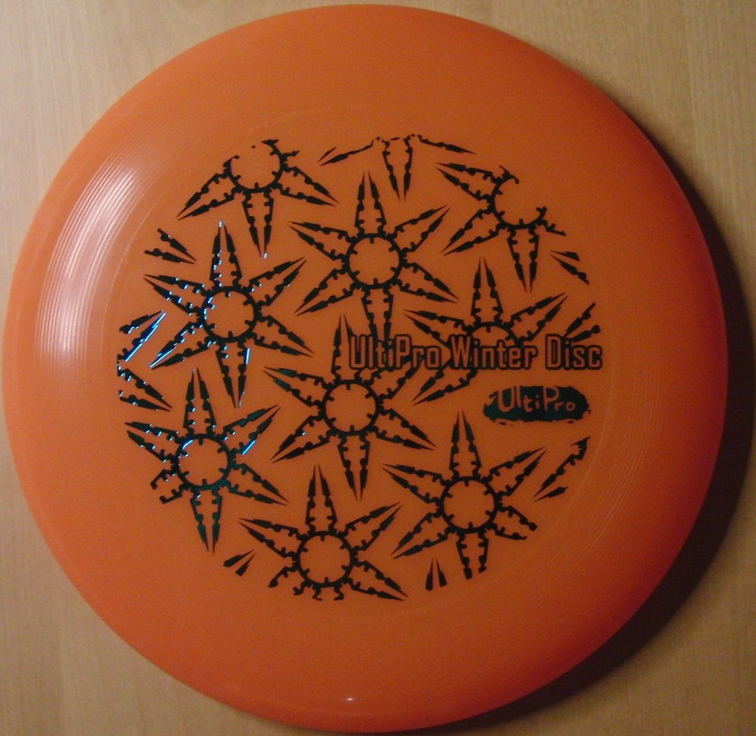 A couple of winter-themed discs, too! 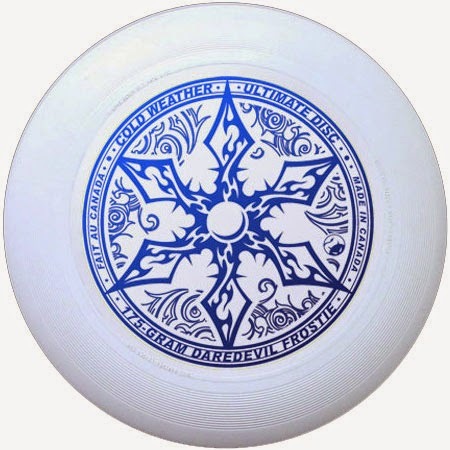 Ultimate is a hybrid game, combining aspects of football, soccer and basketball. It's not uncommon for players to have some sort of background in one of the three. "It's the same amount of running as soccer, you're playing on a football field, and when you have the disc in your hands, it's essentially like picking up your dribble in basketball," said Max Katz, a junior community health major who played soccer growing up. "It's basically the same as Glee where they have Sectionals, Regionals and Nationals,"
"Frisbee is very easy to learn to play. It can also be played anywhere, including beaches, so a ground is not a problem at all." When kids square off in ultimate Frisbee, the emphasis is on giggles and grins, not winning at all costs. ultimate Frisbee — essentially football with a plastic disc — is now played competitively at 400 colleges. Of all people, producer Joel Silver is credited with inventing it back at his New Jersey high school in the '70s. 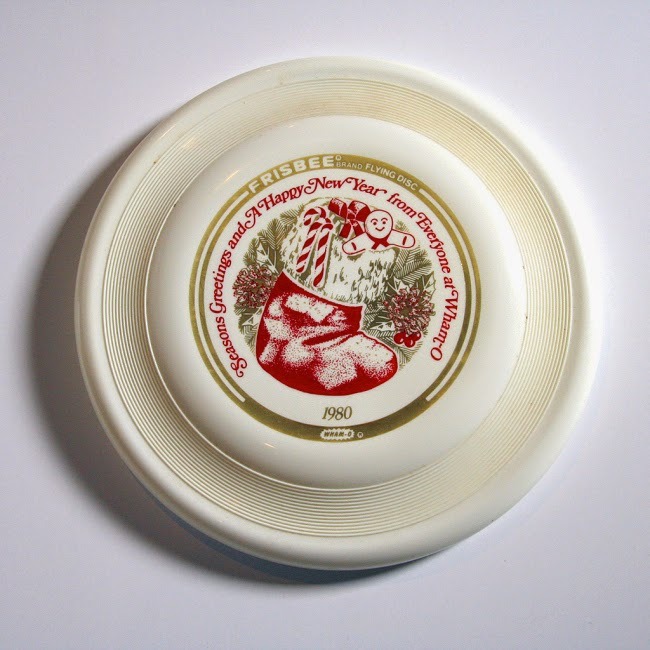 ...ultimate Frisbee, this breezy new sport with that troubling sense of mirth. Zoe Towne on how ultimate is played: "There's a real simple explanation. You try to get it to the other end without dropping it." 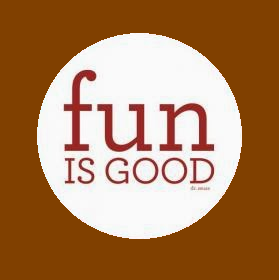 ...Ultimate Frisbee is ultimately about having fun.
! 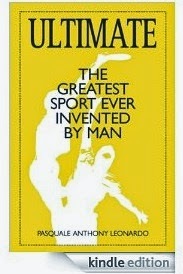 !UPDATED EDITION OF THE GREATEST BOOK ON ULTIMATE IS NOW AVAILABLE!!! Info: This ALL NEW 3rd Edition is available as an e-book! 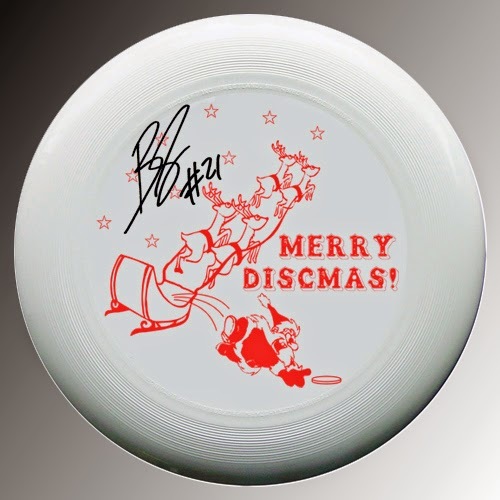 Some still say ultimate is the most misunderstood flying disc field running team sport on the planet. Most people think it's Frisbee football played barefoot and without boundaries. Those people are wrong. Ultimate is a sport played by 4.7 million people a year in North America—more than korfball, lawn darts, lacrosse, curling and FootGolf combined. Ultimate is so popular that it even has rules that are sometimes followed. This book will provide you with complete and total knowledge of the ultimate game. And since this is the revised 2015 Third Edition you can now read all about Brodie Smith, the AUDL, MLU, the TCT, more Brodie Smith and the Olympics and be amazed. 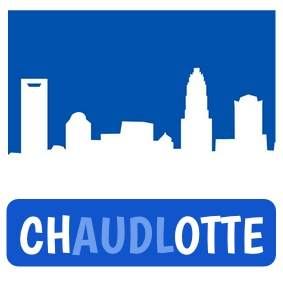 Charlotte was announced to be the new location of a new pro Ultimate team for the 2015 AUDL season. This new team from the largest city in North Carolina will join the South Division of the American Ultimate Disc League. 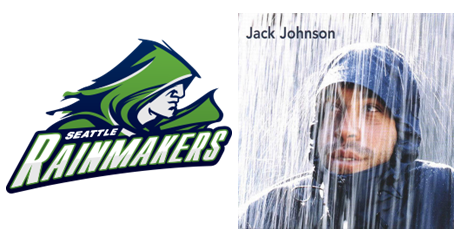 "The Queen City" is about 160 miles away from an existing in-state AUDL team – Raleigh Flyers. With Charlotte joining the American Ultimate Disc League, North Carolina becomes the 5th state/province with at least 2 AUDL teams - California: San Jose Spiders, San Francisco FlameThrowers, LA Aviators, San Diego Growlers; New York: Rochester Dragons, New York Empire; Pennsylvania: Philadelphia Phoenix, Pittsburgh Thunderbirds; Ontario: Toronto Rush, Ottawa Outlaws. 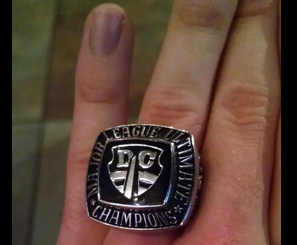 On Thursday night at The Green Turtle, Washington, D.C. Current players from the 2014 team received championship rings to commemorate winning the 2014 Major League Ultimate Championship. D.C. Current clinched the Eastern Conference in June, won the Eastern Conference Championship game, and then won the MLU Championship in July. 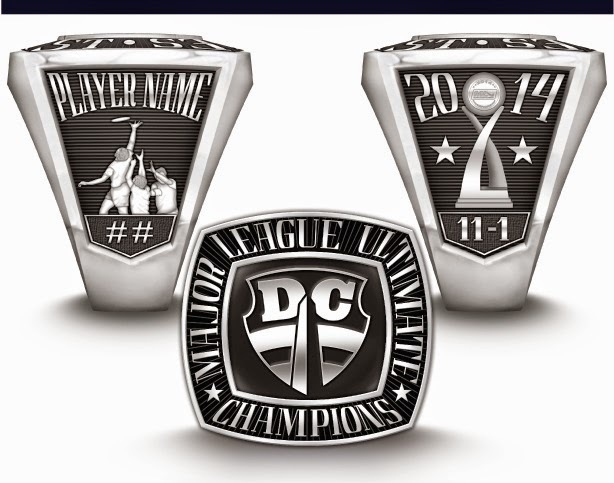 These are the first known championship rings to be made for a professional ultimate league team. 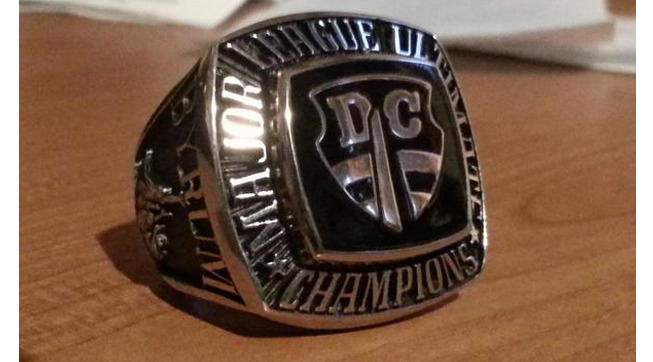 The rings were designed in Current colors with the team's logo on top, DC's 2014 record (regular season + playoffs) and the 2014 MLU trophy on one side, plus some personalization with the player's name and number on the opposite side. 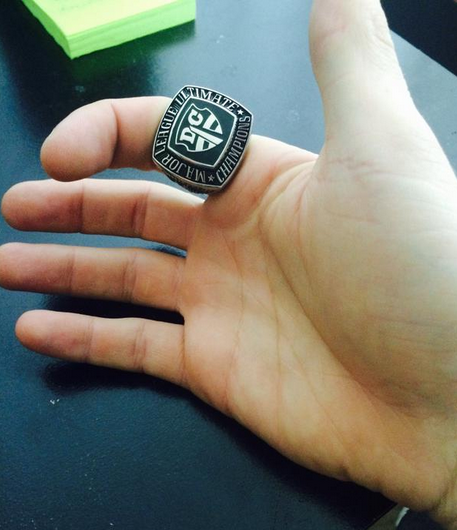 UPDATE: A team source indicated replica rings may become available for season ticket holders. Washington, D.C. Current made an end-of-the-year favorite list in The Washington Post's Sports Bog, "The top 10 D.C. sports phrases of 2014." "The D.C. Current, who captured the Major League Ultimate championship this year, won an early-season game against Boston with a last-second floaty hammer. It's a type of throw, but don't worry about what it means. Just appreciate those two words together." The same Top-10 list was published in the December 23 print issue of Express newspaper (a publication of The Washington Post). 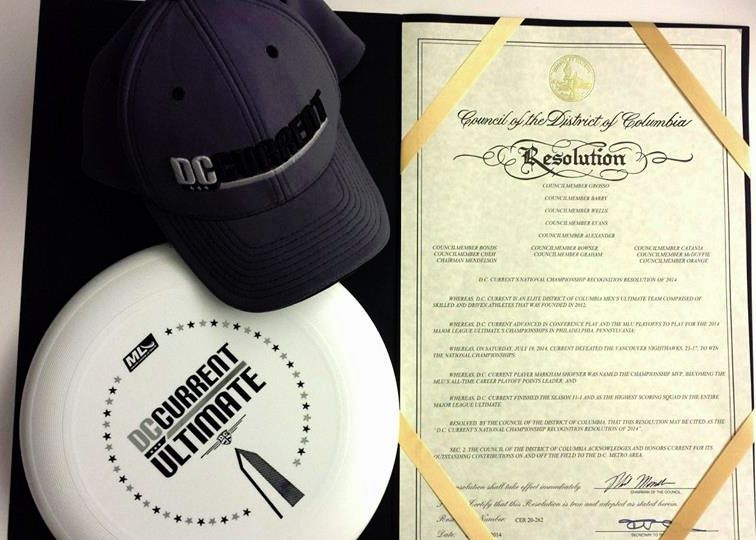 Council of the District of Columbia honored the D.C. Current's championship with a ceremonial resolution, aptly named "D.C. Current's National Championship Recognition Resolution of 2014." This Legislation (#CER20-0262) was introduced by Councilmembers David Grosso, Tommy Wells, Marion Barry, Jack Evans, and Yvette M. Alexander in October 2014 and approved on Tuesday, December 17, 2014. 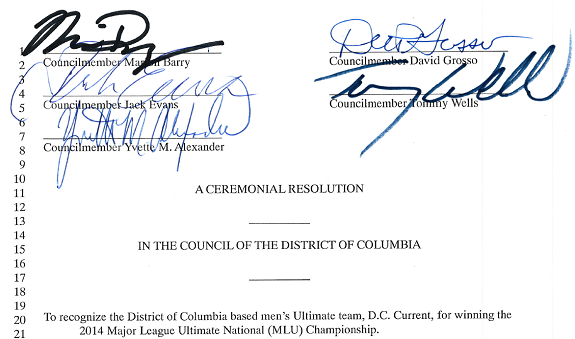 The resolution's purpose was to "to recognize the District of Columbia based men's Ultimate team, D.C. Current, for winning the 2014 Major League Ultimate National (MLU) Championship." A handful of DC Current players attended the event. The Council recognized the Washington Wizards in a similar fashion back in May 2014, Bryce Harper in April 2013, and DC Scandal in December 2013. WHEREAS, D.C. Current finished the season 11-1 and as the highest scoring squad in the entire Major League Ultimate. The Council of the District of Columbia acknowledges and honors Current for its outstanding contributions on and off the field to the D.C. metro area. 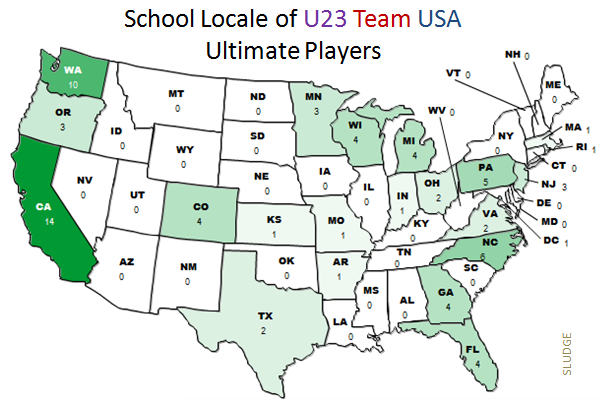 USA Ultimate announced the final Team USA rosters scheduled to compete in WFDF's Under 23 Ultimate Championships (July 2015) in London. Three teams will represent the USA - mixed, men's & women. Published rosters associated players with their current school. Two selected players are still in high school - Henry Phan & Jaclyn Verzuh. Overall, 21 states and the District of Columbia are represented in the final rostering of the three teams. 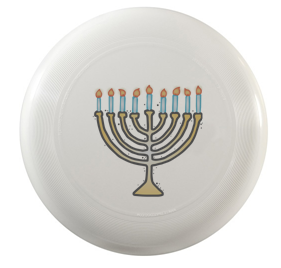 Hanukkah begins at sunset tonight (December 16). If you forgot a gift, this 8-day Jewish holiday (also known as the Festival of Lights) gives you plenty of additional time to make up for lost time. 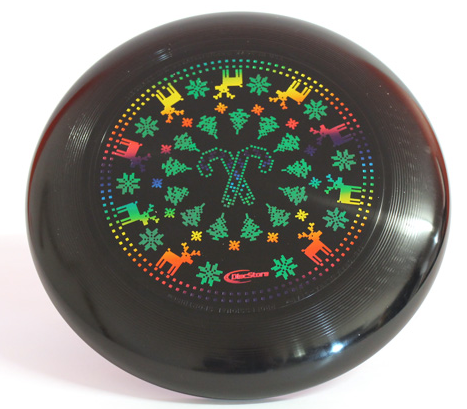 You know, an appropriately holiday-themed Ultimate Frisbee tourney would be "Festival of Lights & Darks" Tournament. Just saying. 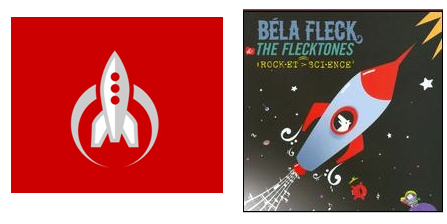 Today marks 8 years since our very first blog post (in 2006)! Nearly 3000 posts later, this blog continues to thrive on covering ULTI-rnative topics. Providing a post about the sport of Ultimate has become a regular daily activity. 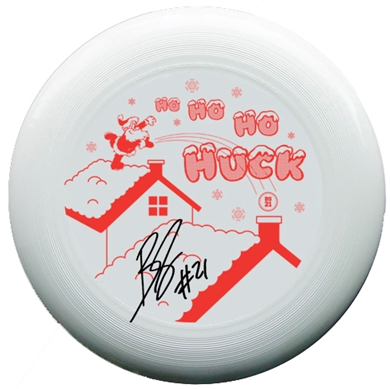 Very grateful to the Ultimate Frisbee community, especially Sludge teammates, for being an excellent flow of inspiration. Thanks for reading, clicking &/or whatever you do while visiting. 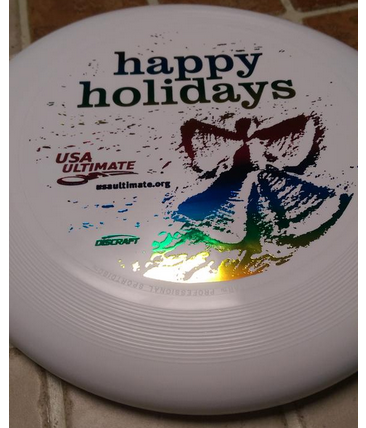 This blog is meant to be fun (just like Ultimate), and is my weird way to give back to the sport that has absolutely enriched my life. For additional Ultimate potpourri, become a twitter follower. 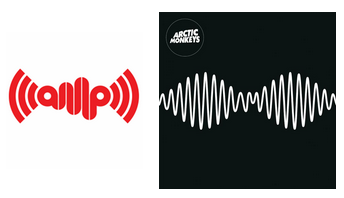 Ever notice how the logos of ultimate teams look similar to certain album covers? Not since the Philadelphia Spinners were replaced by the Philadelphia Phoenix has a city welcomed a new AUDL team in the same location. 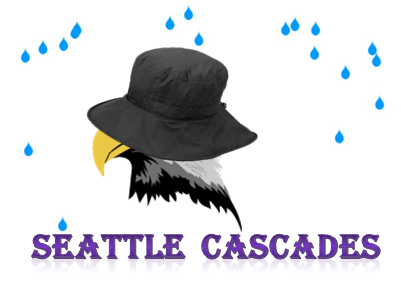 The Seattle AUDL team - bought from the Raptors ownership - are currently owned by the five siblings who founded Five Ultimate. 1. 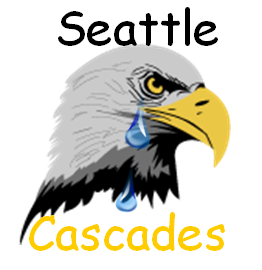 The 2014 Seattle team name "Raptors" was retired. 2. 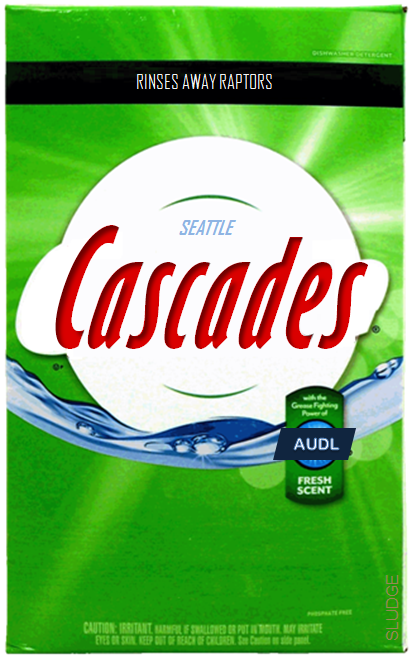 The 2015 Seattle team was renamed "Seattle Cascades" which refers to the Cascade Mountain Range which runs through Washington State. SAVAGE Ultimate returns with its hat tournament benefiting the seasonal U. S. Marine Corps Reserve Toys for Tots program. Now in its fourth year, SAVAGE has 11 tournaments on the 2014 calendar. Washington, DC's tourney will occur this weekend after the original date was rained out last Saturday. 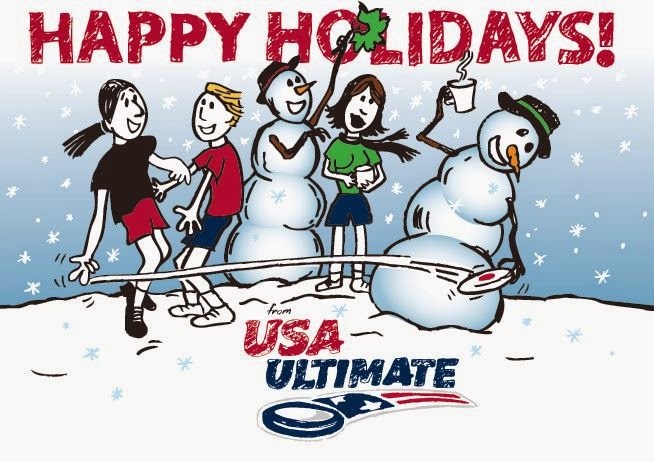 Bonus: Play UltiGift again in Fredericksburg, VA, on Sunday, December 14. 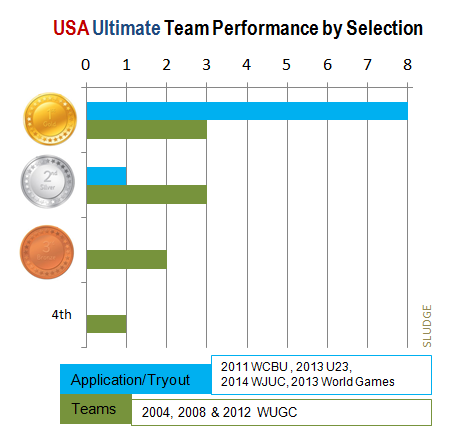 Starting in 2016, an Application-and-Tryout process will be utilized to select teams representing USA Ultimate. This new process will affect open, women's and mixed divisions playing at the World Flying Disc Federation's World Ultimate and Guts Championships (WUGC) event; Masters divisions are not impacted. USAU cites interesting data showing a difference of team results when players are required to apply for the national team and/or participate in a tryout versus automatic bids for championship teams. 100% of APPLICATION/TRYOUTS teams medaled, with 89% (8/9) being gold. 89% of national championship TEAMS earned a medal, only 33% (3/9) earned gold. Text: "In the last edition of each major international event in which American teams were chosen by an application or tryout process, the U.S. National Team won eight gold and one silver medal in the open, women's and mixed divisions. (2014 WJUC: 1 gold, 1 silver; 2013 U23: 3 gold; 2013 World Games: 1 gold; 2011 WCBU: 3 gold). In the last three editions of WUGC in which USA Ultimate national champions represented the U.S., teams brought home three gold medals, three silver, two bronze and a fourth-place finish." 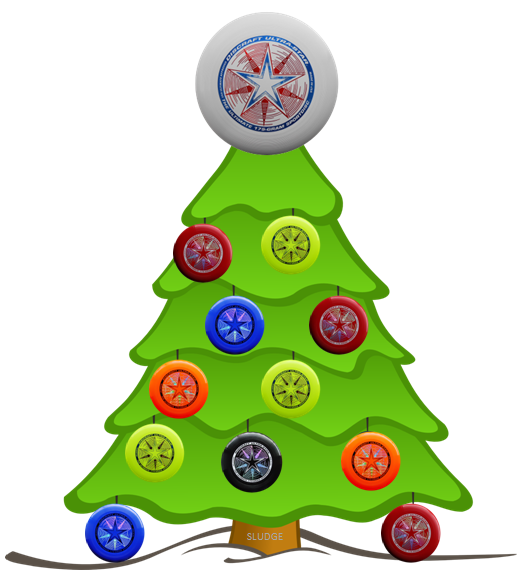 'Tis the Season to wish "Season's Greetings!" Playing ultimate in the snow while wearing short shorts? YES! Throwing forehands to a drink-toting snowman? OKAY. Avoid kissing a snowmanperson under the mistletoe? NO!